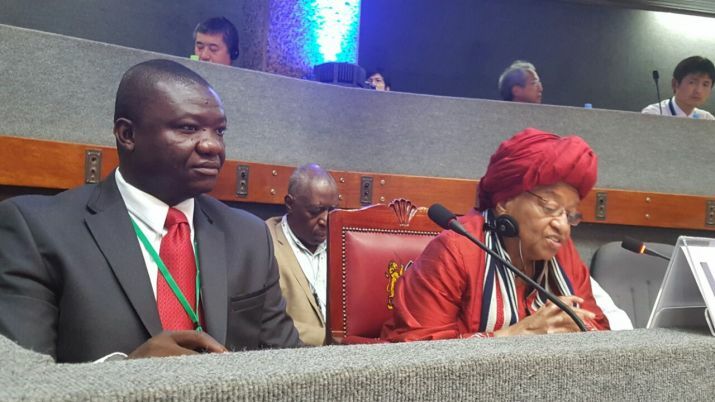 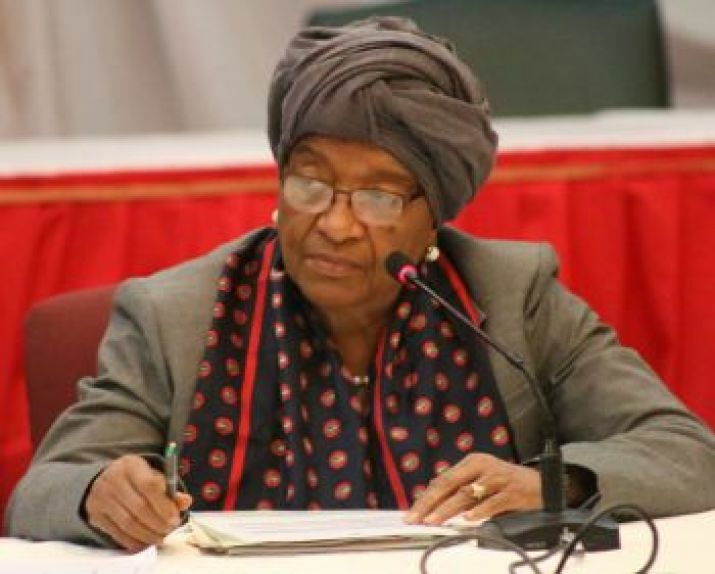 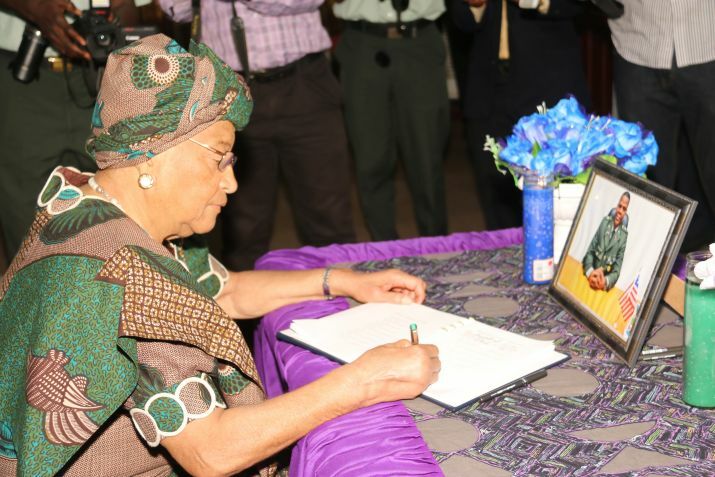 President Sirleaf Congratulates Dr. Tipoteh at 75; Lauds Chevron Outgoing Country Manager. 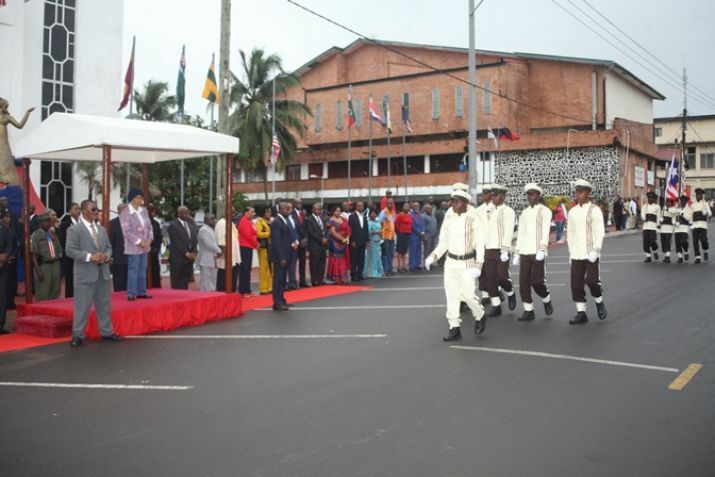 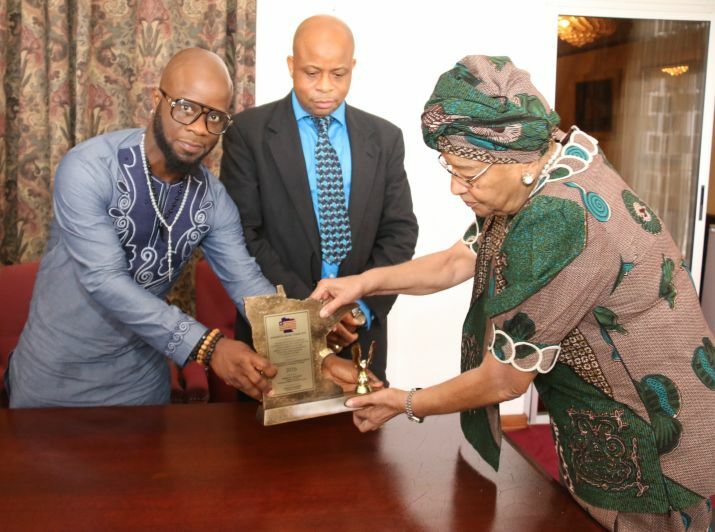 President Sirleaf Congratulates Peace Corps at Two-Year Volunteers Swearing-in Ceremony. 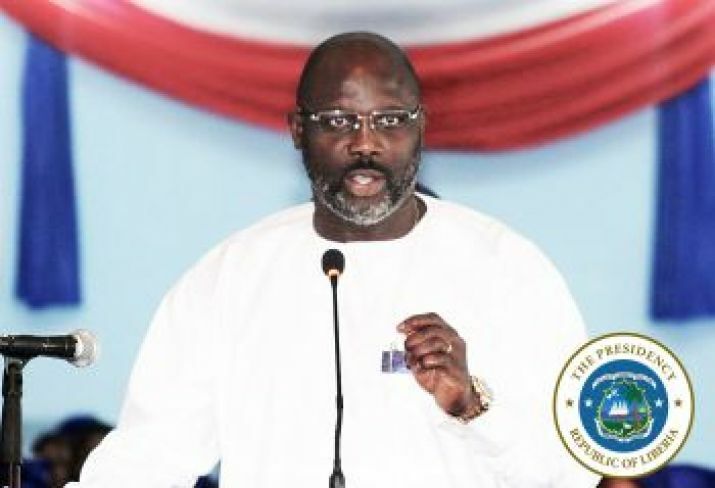 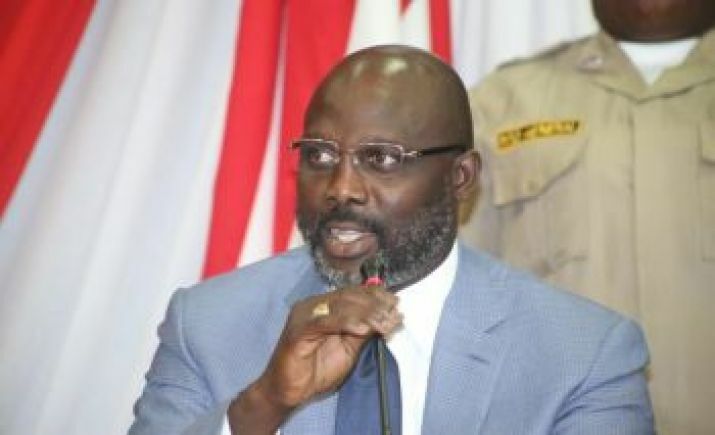 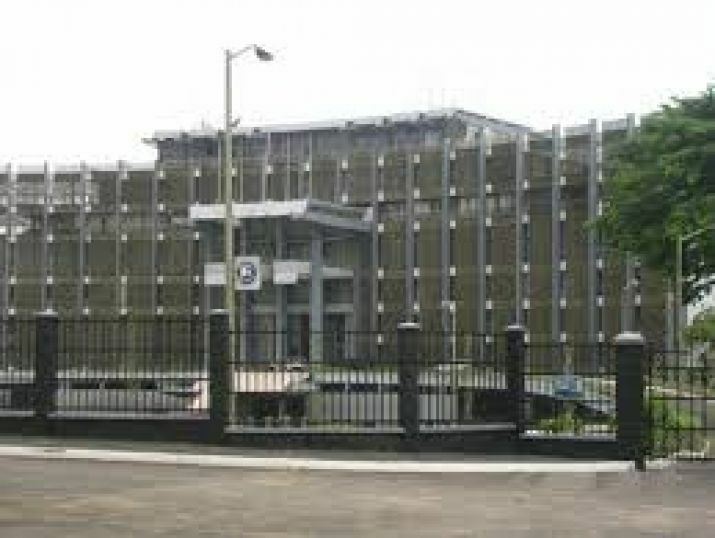 Executive Mansion Responds to Deputy Speaker. 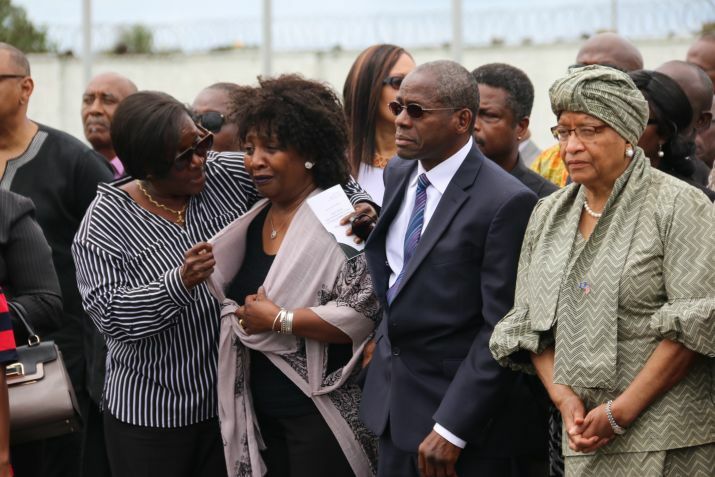 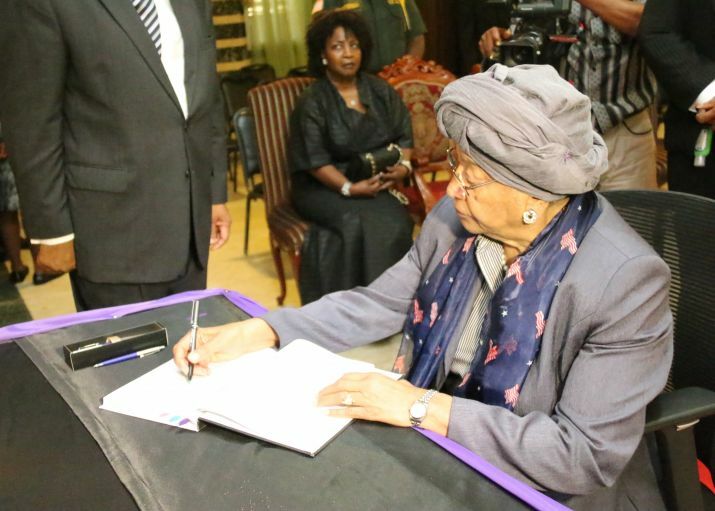 President Sirleaf and Officials Sign Book of Condolence for Dr. Edward B. McClain, Jr.
President Ellen Johnson Sirleaf receiving the remains of fallen Dr. Edward B. McClain, Jr.